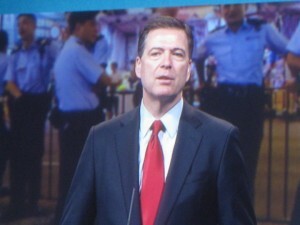 FBI Director James B. Comey delivered a candid speech Thursday about the strained relationship between police and African Americans, saying officers who work in areas with high black crime often develop a racial bias, the New York Times reports. Comey said the speech was intended to create a healthy dialogue that didn’t exist after the shooting of black teenager Michael Brown in Ferguson, Mo. It was the most extensive address about race ever give by an FBI director, the Times wrote. Comey cited research that suggests unconscious racial biases. Posted: 2/13/15 at 11:53 AM under News Story.